With only a few months to go before the Marathon International du Beaujolais, many runners make the most of the summer holidays to start or to intensify their preparations for the event. Your training programme depends very much on your level of experience and the distance you will be running (the Marathon, half-marathon or the 13 km du Rhône). But if you want to train in the intense heat of summer, here are a few tips from Valérie, who coaches the Beaujolais Runners Team. This advice applies to every runner of all levels. A well prepared body can run in almost any weather. Every runner reacts differently to heat. Listen to your body, measure your capacity and find your limits. Your body needs some time to acclimatise to high temperatures, and you will need the right equipment and the right behaviour too. Our bodies have three main ways of cooling down: convection, radiation and evaporation. Convection evacuates heat through the air moving around our body thanks to the displacements we create when running, the swinging movement of our arms and the wind. Radiation cools us down by radiating heat from the body into the ambient air, when it is at a temperature below 37°C. Finally, evaporation is an essential means of cooling down by evacuating sweat when we perspire. 1 litre of perspiration represents a loss of 580 calories. Evaporation is determined by the thermal and hygrometric conditions of the ambient air. Warm and dry air favours evaporation. If the air is too humid, the sweat stays on our skin and the evaporation process slows down, because the heat is not evacuated. As a general rule, 25°C is considered to be the threshold above which caution is required when doing intense or lengthy exercises. It is essential to avoid hot flushes that can have serious consequences for your health. Wherever possible, avoid running on tarmac, which tends to soak up the heat from the rays of the sun, and choose a route in the shade, for example in a park or woods. Go for your run at the coolest times of day, either early in the morning or in the evening. Avoid strenuous physical exercise at the hottest time of day between midday and 4pm. In hot weather, remember that your body needs some time to adapt. Do not immediately start off with lengthy and demanding sessions as soon as the warm weather arrives. Build up your training schedule gradually and step by step. Materials that breathe, light colours and loose-fitting clothes. Wear summer running gear that will prevent you from overheating and help to evacuate your perspiration. Also remember to wear a cap that will protect your head against the rays of the sun and help to prevent sweat from running into your eyes. Your cap must also be well ventilated so that the air can flow freely around your head. Lastly, remember to protect your skin with sun cream and your eyes with sunglasses. You can also use anti-friction cream to stop your feet from overheating. The best way to cool down your body, and your feet in particular, is to dip your feet or legs in a river, once you have crossed the finishing line. This is also a great way to allow your muscles to recover. Staying well hydrated is essential in all sports and at any time of year. Drinking sufficient quantities of water (at least 1.5 litres per day) facilitates muscular regeneration and limits the risk of injury, especially tendonitis. In periods of hot weather, your body’s hydric needs increase, so remember to drink even when you are not training, and during your training sessions too (at least ½ litre of water per hour of exercise). If you feel thirsty, then it’s too late. You are already dehydrated! So try to drink two mouthfuls of water every 15 minutes. In very dry and very hot conditions, slightly dampening your arms, legs, face and the back of your neck at regular intervals will help to bring down your body temperature, favour evaporation and limit perspiration, which is one of the causes of dehydration. As the heat rises and you sweat more, you will lose numerous minerals. Your everyday diet should include plenty of seasonal fruit and vegetables, which are rich in vitamins and minerals. You can also consume isotonic drinks with electrolytes during your training sessions, because they help to compensate for the loss of minerals. You can make the most of the summer holidays to wind down or even stop training altogether to give your body a rest and rebuild your motivation. It is a good time of year to recharge your batteries, for example by taking a short nap in the afternoon, and to avoid physical burn-out when the season gets underway again. Summer training must be fun and tailored to your level of performance in order to stay fit and in good shape. July and August are also the ideal time to vary your training activities, while keeping fit at the same time. Try out cycling, swimming or hiking for a change. 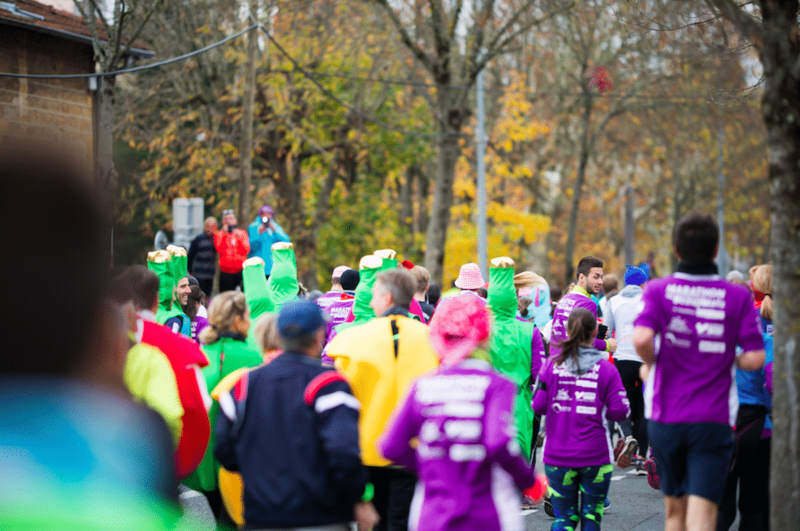 There are three months left until the next Marathon International du Beaujolais. Make the most of the summer break to organise a gentle and gradual training programme. “Va piano va sano”! And most importantly, have fun! 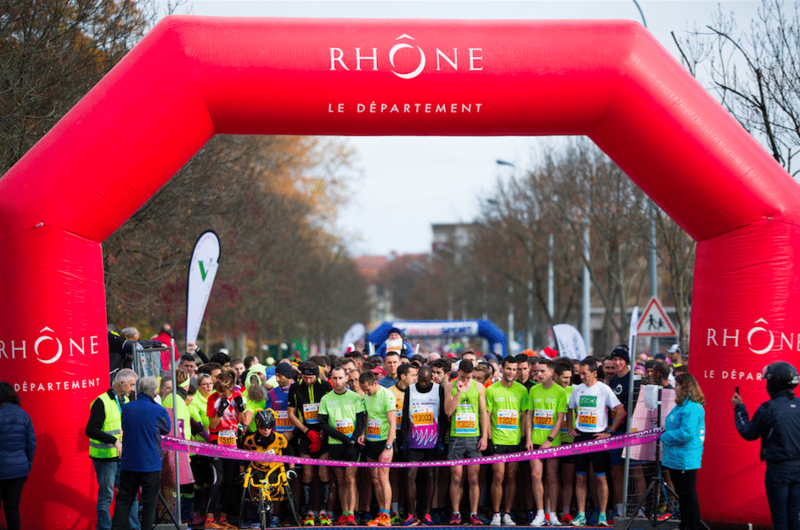 One last word of advice to make sure that you make it to the starting line of your favourite event: send off your entry for the Marathon International du Beaujolais right now! The Beaujolais Runners wish you all a great summer break and look forward to welcoming you back in tip-top condition.